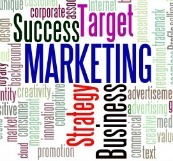 Marketing an Online Business identifies the 5 factors to use, which are free in the Internet marketing of your home-based business. Marketing your home-based business is critical not only to drive sales thus increasing market share, but also to "brand" your company (your credibility) in the worldwide marketplace. Branding your local company will lead to reduced expenses and a greater return on investment. Internet marketing for online businesses is really affordable and exciting, as you see your visitor count and sales growing. The #1 Factor: Having a business website with a ton of great original content optimized for both the search engines and your visitors that obtains a first page (or, in the worst case, a second page ranking). People search the Internet for answers to their question or need. If you don’t identify who your target market is and what content they are looking for then, plain and simple, you fail. This is why 99% of all websites are seldom found. So you must know how to build a website that gets found. Period. The #2 Factor: For visitors to your website to make a purchase they must trust what you say. Therefore, building credibility is the foundation you must lay for your online success. presented with a professional look and feel appealing to potential buyers and search engines. Coupled with great product content and plenty of it, achieving the number one factor listed above will occur. The #3 Factor: Search Engine Marketing is free. That is, make your online company website so good that the search engines want to place it at or near the top of their search results for most of the keywords you use in building your site. The higher the Search Engines rank each page of your site, the more targeted visitors you have which will lead to more sales. Build your website the correct way and BAM, the marketing of your online company becomes free! The #4 Factor: Social Networking, that is, the use of Social Media to build relationships with past and potential customers has proven to build trust in and credibility for your online company. This is another free marketing an online business opportunity. Interacting with visitors to your business FaceBook Page, Twitter, Linkedin, etc. makes your business real and puts a face behind it…yours. The #5 Factor: Free marketing is also available by starting a blog, having a e-newsletter, making sure your website is mobile friendly (phones, pads, e-readers). The world is going mobile with devices having the ability to access you site from any place on the globe. An excellent website building system with unified and integrated tools can guide you in marketing your business so you can compete even with the big boys. I know this is true from personal experience. I’m wishing you true success. Thank you for visiting Marketing An Online Business.